riker:volchok Landscapes offers complete lawn care services customized to suit your property's needs. Nothing makes your home more inviting than a lush green lawn and well maintained gardens. However, maintaining that beautiful lawn & garden can be a lot of work, time and effort. Our comprehensive lawn care services can be customized to suit your particular needs and budget. We have provided lawn care services to hundreds of clients across Waterloo Region who continuously request our services each year. Why Choose Us? We provide the most affordable professional service in the area. Many non-professionals will leave a mess and tear up your lawn. You wont find us going door to door or having someone inexperienced do your lawn. 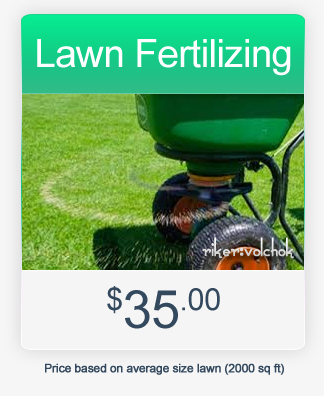 The three main ingredients in fertilizer are: Nitrogen, Phosphorus and Potassium. Nitrogen is essential to create a lush, green and vigorous lawn. Our standard fertilizer mixture is 10-8-8. It provides enough nitrogen for steady growth, but also contains more phosphorus and potassium which means better rooting and resistance to fungus and weather stress. Not only that but our fertilizer is safe for children, pets and the environment! Maintaining a healthy and attractive lawn takes work, but a lawn rolling can help make the job easier. 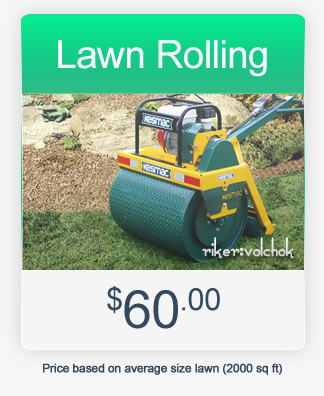 A lawn rolling will help level the soil, improve the overall appearance and also speed up establishment of newly seeded lawns. The best time to have a lawn rolled is in the Spring after a rain fall. We use a 600lbs walk behind machine roller which is the ideal size roller for lawns. Watch out for inexperienced professionals with heavy duty rollers meant for asphalt work. Those rollers will only compact your soil and inhibit your lawns ability to grow. There’s a reason even golf courses use the same size roller as us! Topdressing is a thin layer of triple mix spread over the lawn, ½” to 1” thick focusing mainly on any bare or thin areas. Topdressing is used to even out your lawn, increasing micro-organisms and improve water retention in the soil. It will help thicken up your lawn and the thicker and more full your lawn is the more difficult it is for weeds to germinate. 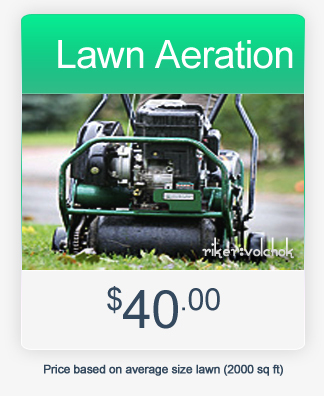 We are happy to provide the best prices in Waterloo Region on lawn topdressing. Our rates are over $100 less than nearly every other company in the area. Why can we provide such good rates? The process of topdressing is fairly simple, you spread the topdressing over the lawn focusing on any bare or thin spots. The only expenses to us is the soil and time. So why do other company's charge $250-$400 for the exact same service? The simple answer is because they estimate the amount of time and soil you need. We charge by the yard of soil so we know how much soil that will be and how much time that takes to install. We don't estimate, we know. If you need another yard that's no problem we charge $100 for any additional yards and we assure you that's still the best price around! Phone around and see for yourself. For the same price as one of those big soil bags in driveways we will supply the same amount of soil for the same price as one of those bags $145(tax included) and even install it for you. That's basically like having your lawn professional topdressed for free. 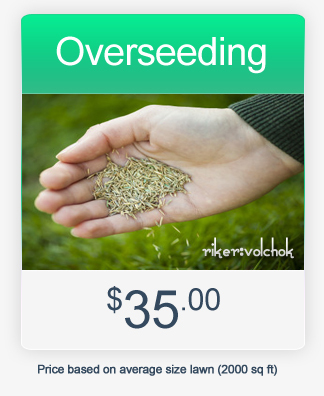 Overseeding means spreading grass seed over your existing lawn. A seed mixture that contains one or more varieties of Kentucky bluegrass, fescue and perennial ryegrass is recommended. Kentucky bluegrass provides a lush, dark green lawn. Fescue is a lighter green grass that blends well with bluegrass and tolerates shadier parts of your lawn. 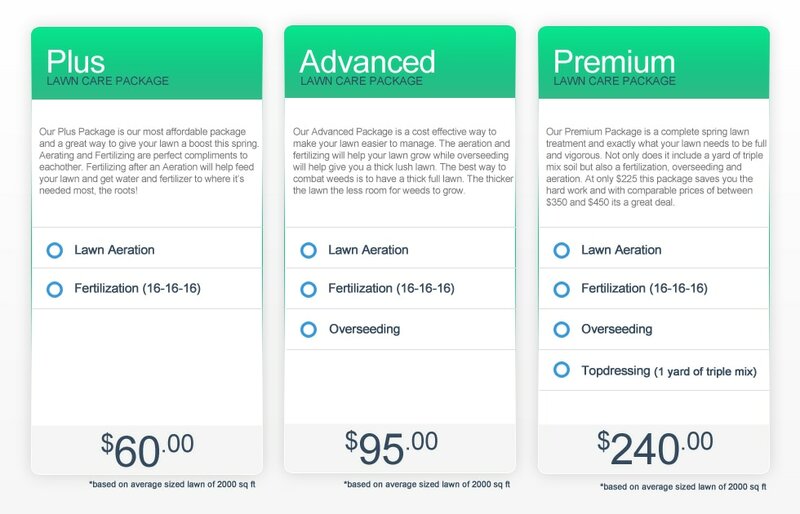 Perennial ryegrass is added because it germinates quickly and is more resistant to turfgrass diseases. Grass seed needs to be kept moist until germination. When watering don’t allow the water to puddle or run off as this will wash your seed away.